The way things are in most of the world right now, money is tight. We are no strangers to this as Chaz and I have to plan our budget out each week. There aren’t many extras [if any at all] but we have a roof over our heads and food in our stomachs. Scrumptious vegan food, that is! Here we want to show all of you where our money is going each week. 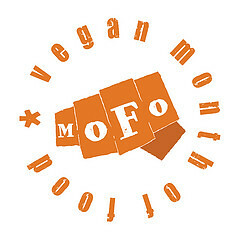 Right now, we’re utilizing Vegan MoFo as a platform of sorts to get our starting budget of $45/week down to $35/week throughout the month of November. We’ll be documenting our progress, triumphs, failures, etc. through blog posts and image uploads of our receipts. We have allocated two budgets: one for our weekly grocery bill and the other for our pantry staples. Because we use spices, oils, vinegars, etc. over the course of a longer period of time, it only makes sense to us to create a separate budget for these items. As of November 1st, we have not decided on a certain dollar amount to stick to, but we’re working on it. We want to use this as an opportunity to show omnis, vegetarians and vegans alike that eating cheaply doesn’t mean sacrificing nutrition, taste or satisfaction. Hi, saw your comment on my blog, Happy Mofo! Have you ever seen the site http://thirtyaweek.wordpress.com ? They’re some cool vegetarians who have been doing it on $30/wk for a long time. That is an awesome blog! Very inspiring…now I feel like we really can do this! I was the opposite before meeting my husband: I wouldn’t really pay attention to the prices of things and would buy junk all of the time. Now, he’s rubbed off on me and I look at staying on budget as a challenge as opposed to a limitation. Maybe just ask for receipts. Chaz comes home, empties out his pockets and I grab all of the receipts from that day and stick them all in one place.